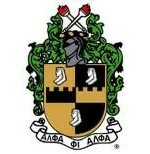 Sigma Alpha Lambda Chapter, the 677th House of Alpha Phi Alpha Fraternity Inc., located in Charles County, Maryland. Alpha Phi Alpha Fraternity was founded December 4, 1906 at Cornell University and for over an hundred years continues to be a leading organization supporting and fostering development in our local and international communities. At Sigma Alpha Lambda (SAL) Chapter you will find a diverse group of men all charged with the mission of upholding brotherhood and investing in the development of Charles County and Southern Maryland. We have embarked on a path to lead our community. Our short-term goal is to build a foundation of service working with schools, businesses and community leaders. The foundation has been exemplified with our Mentorship program with Charles County area High Schools young men and our Alpha Food Drive with Giant Foods for meals to those in need during the holiday seasons. Job's Daughters allows girls and young women to bloom into their confidence to become the leaders of tomorrow. This confidence and leadership development lets Job's Daughters soar into adulthood with the set of skills needed in today's world. 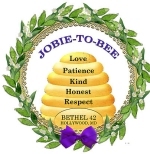 Job's Daughters is a fraternal organization for young ladies between the ages of 10 and 20, who believe in God and have Masonic affiliation.